Smoothen and refine with the Skin Firming Exfoliating Grape Seed Body Scrub from Kneipp. Fortified with ultra-fine grains of Jojoba Wax, the exfoliator gently buffs away dead skin cells, whilst vitamin-rich Grape Seed Oil provides antioxidant protection to leave skin touchably soft. Working to boost elasticity, its effective formula improves absorption of other skincare products to help tone, firm and tighten the body. Massage into wet skin using circular motions and rinse off, alternating between cold and warm water. Aqua (Water), Sodium Laureth Sulfate, Polylactic Acid, Glycerin, Cocamidopropyl Betaine, Coco-Glucoside, Glyceryl Oleate, Carbomer, Vitis Vinifera (Grape) Seed Oil, Simmondsia Chinensis (Jojoba) Seed Oil, Prunus Amygdalus Dulcis (Sweet Almond) Oil, Hydrogenated Jojoba Oil, Persea Gratissima (Avocado) Oil, Phytosterols, Olea Europaea (Olive) Fruit Oil, Xymenynic Acid, Citrus Aurantium Dulcis (Orange) Peel Oil, Citrus Limon Peel Oil, Lavandula Hybrida Oil, Limonene, Linalool, Hexyl Cinnamal, Butylphenyl Methylpropional, Sodium Anisate, Sodium Levulinate, Parfum (Fragrance), Glycol Distearate, Xanthan Gum, Hydroxypropyl Methylcellulose, Sodium Hydroxide, Peg-14m, Silica, Tocopherol. Love this product. 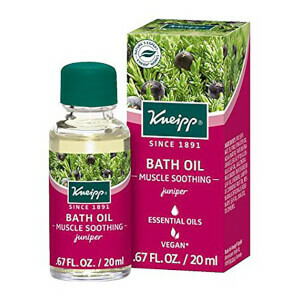 Smells lovely and skin feels and looks soft after using it in the shower.